North Star Cruises Australia is the winner of numerous awards for excellence. North Star Cruises Australia is an undisputed market leader and offers activity based itineraries especially designed for the most discerning adventurer. 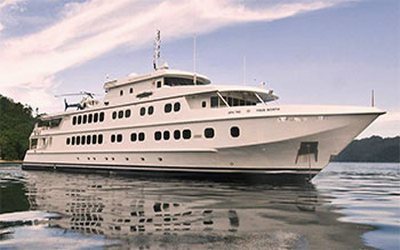 North Star Cruises Australia consistently operates with impeccable customer satisfaction rates. North Star Cruises Australia pioneered luxury adventure-cruising along the Kimberley coast 30 years previous. Others cannot equal our experience and knowledge! Avoid the crowds – we carry 6 dedicated expedition boats (not rubber boats) that provide guests with opportunity to experience wilderness in comfort and, in small groups. We can also make greater provision for guests to do ‘what they want, when they want’!